You may have seen it as an ingredient in your gum or guilt-free ice cream, but what is erythritol sweetener? It is a sugar alcohol used as a sugar alternative to sweeten foods and beverages. What is erythritol and how is it used? Despite its calorie-free status, erythritol is not an artificial sweetener. Rather, it is a sugar alcohol that is made from the fermented sugar found in corn husks. Erythritol is available in granulated form so you can incorporate it into your coffee or donut recipe. It also occurs naturally in some fruits and fermented foods. Using a sugar-free additive can reduce your likelihood of tooth decay. Erythritol only has .24 calories per gram, compared to sugar, which has 4 calories per gram. It may reduce your risk of heart disease if it helps you reduce the amount of sugar in your diet. Erythritol doesn’t cause blood sugar levels to change, making it an ideal alternative for diabetics. Erythritol may act as an antioxidant. People sensitive to sugar alcohols may experience symptoms such as cramping, nausea and headaches. Erythritol should be consumed in small quantities to prevent digestive upset. Sugar alcohols like erythritol pass through your body mostly undigested. Because of this, your appetite may not be as satisfied as it would with sugar. 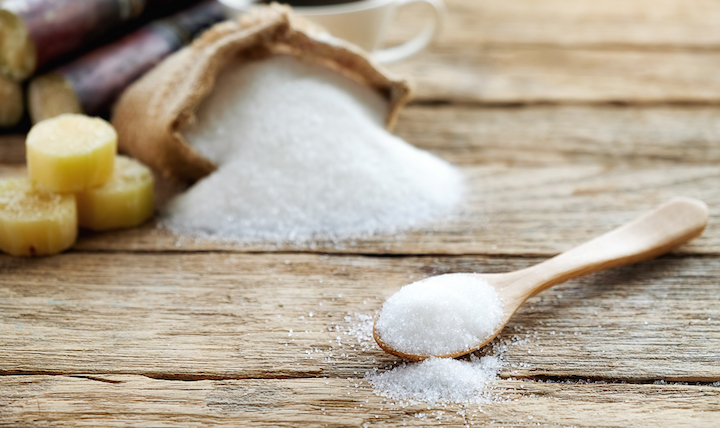 Erythritol vs. Xylitol: Which is sweetest for your smile? Though both sugar alcohol sweeteners are healthy substitutes for traditional sugar, erythritol is considered better at reducing dental carries and preventing tooth decay. Erythritol is also more digestible than xylitol, thus limiting digestive issues. While xylitol may help stabilize blood sugar levels, erythritol doesn’t have any effect on blood sugar, making it safer for routine use. So the next time you’re shopping for sweetener, give erythritol a try. Make sure to choose organic erythritol made from non-GMO corn. Learn how to bake with erythritol. Can’t quit the sweet stuff? Learn how to break up with your sugar addiction.